The Armalite M15 S.I.R. System Proline is a high end airsoft gun at a great value. This proline airsoft gun from Action Sport Games (ASG) features a full metal body with licensed trademarks from A.R.M.S. The most noticeable feature on the rifle is the custom rail system. This was one of the first rail systems that led to the development of all of the free float rail systems you see on the market today. This innovative rail mounts to the top receiver using the standard picatinny rails. This then raises the sight base and gives you an extended top rail all the way to the gas block. 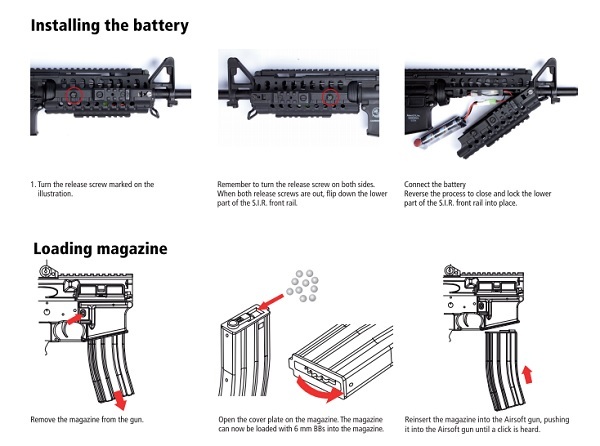 It does use the front gas block to stabilize and gives a foregrip that includes multiple rail attachment points. All of the rails are mil standard 1913 picatinny rails. This gives you virtually limitless options for accessories that you mount. The system does include the patented A.R.M.S. 40L rear sight, this is a great precision aiming solution that can be folded down when not desired. Mount the optic of your choice, and you can rest assured that if you have a battery failure on your optic, you can quickly deploy the rear sight to get back in the fight. The gun does include a vertical fore grip to allow you to maneuver better in tighter spaces. The barrel is your standard M4 length 363mm inner barrel. Are you looking for longer range and accuracy? Install a Fox Custom 363mm inner barrel. This will increase your velocity and tigten your shot groupings. 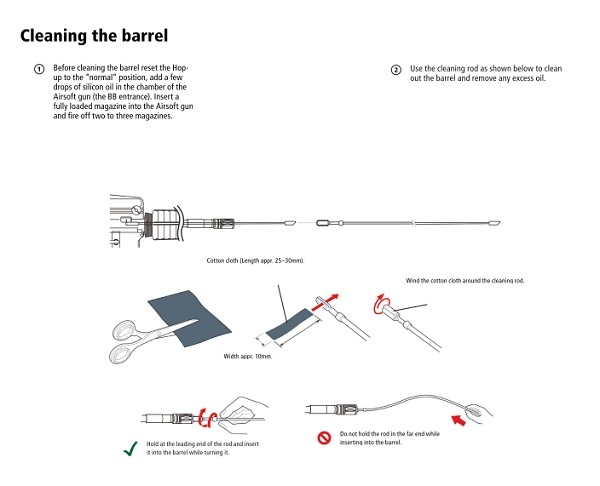 For maintenance, make sure to clean your barrel in between each use to ensure that you don't lose accuracy or velocity. 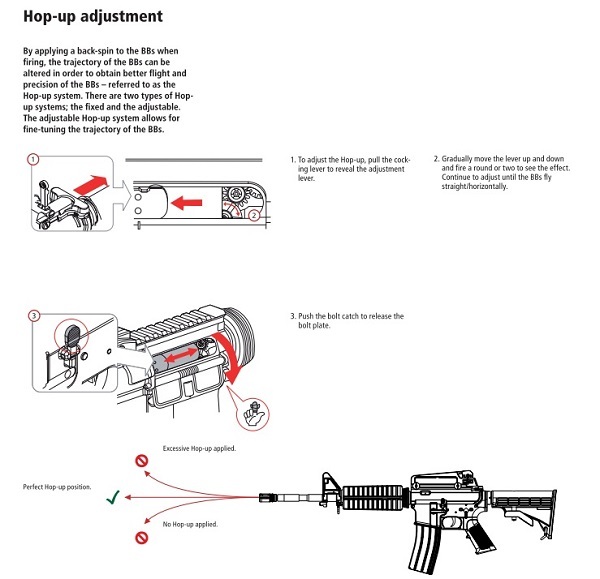 You can see the barrel cleaning procedure on the manual below. We highly recommend a Tenergy Battery and a Tenergy Smart Charger.